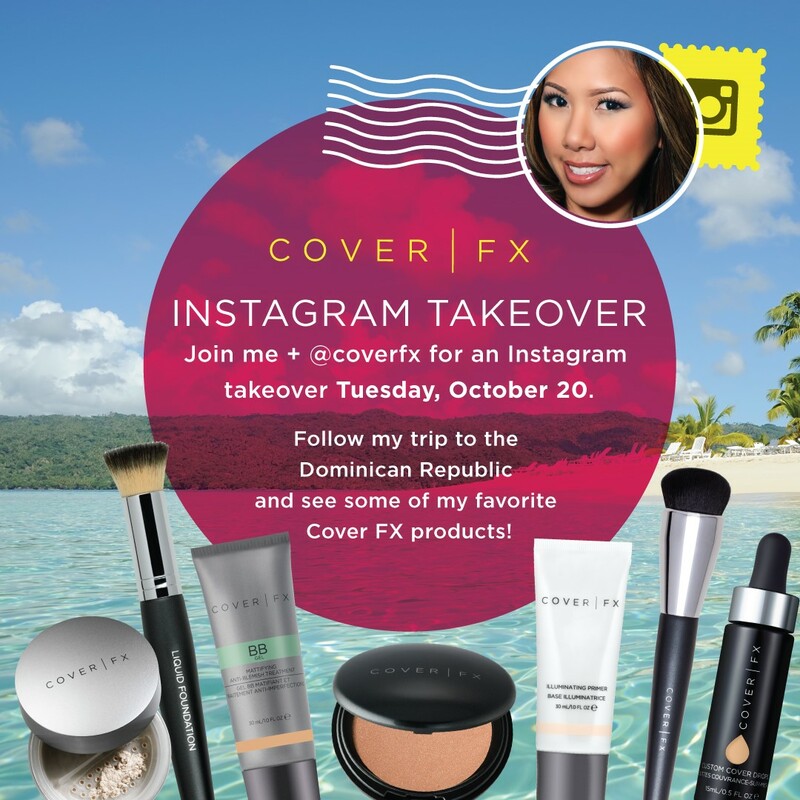 Home coverFX My Dominican Republic CoverFX Instagram Takeover! I'm super excited to let you know that next Tuesday 10/20/15, I'm taking over CoverFX's Instagram and I'm bringing you with me to the Dominican Republic. I'm visiting this beautiful island as I have about 1 month to go before my wedding! I'll be tasting cake, getting hair trials, and also showcasing some of my must-have CoverFX products that I'm bringing with me. FTC Disclosure: I am a brand ambassador for CoverFX and affiliated with this company and compensated. As always, these are my honest thoughts and opinions. that is SO awesome Ren! !